Hi Sandy! Can you tell us a little about your latest book? 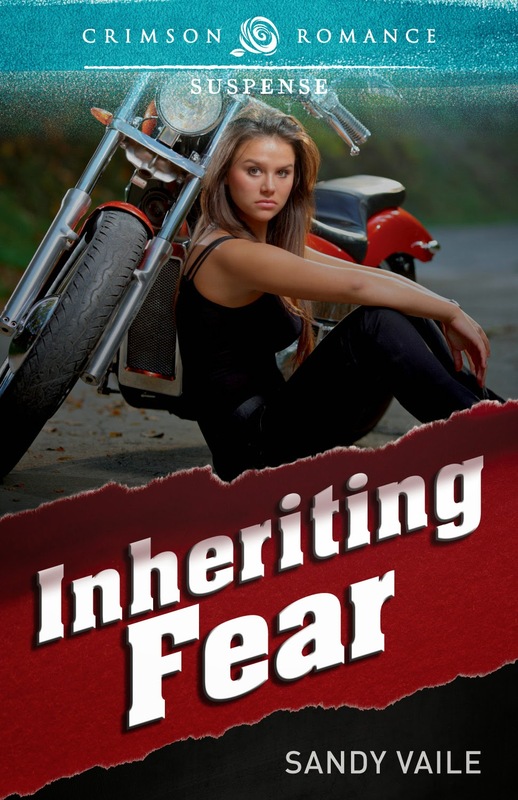 ‘Inheriting Fear’ is a story of overcoming adversity through sheer determination, and trusting someone enough to realise you don’t have to do everything yourself. I’ve always loved courageous and independent heroines and Mya was a handful from the moment she entered my imagination. At the time, I was reading the Elemental Assassin series by Jennifer Estep, and the unconventional female role and strong, silent police hero appealed to me. Naturally, as I brainstormed ideas, I drew from my own life, and so Mya rides a motorbike — something I am passionate about — and is a Chef — something I used to do. Oh, I’m not fussy, if someone’s making it into a move! ☺ Chris Hemsworth would make a great Luca if he grew his hair long, and Nina Dobrev could play Mya if she can ditch the cutsy image for abrasive, or maybe Victoria Justice. There is nothing quite like a fast-paced action-laced book to keep the heart pumping and the mind guessing. It’s the uncertainty and danger of suspense that draws me to read and write it. I guess there is also the scope for a forceful heroine when you’re dealing with bad guys. Naturally, such robust women need strong heroes to sweep them off their feet, so it’s a win win situation. Having people read my stories was a driving force from the early days of penning fairies floating in bubbles and tiny gnomes living in hollow trees. Life diverted me from my true calling for a long time though, as I found my way into the workforce, marriage and motherhood, but the Harry Potter series of books reignited my enthusiasm to create. As the word count grew, I quickly realised I was writing for a broader audience than family and friends, so I started attending workshops and joined several writing groups. I haven’t looked back. There is no real method to my name selection, it depends what name conjures an image of that fits the type of person I see in my mind. Often it’s influenced by names I’ve heard recently, but those baby name websites are a gold mine. If you promise not to tell, I’ll let you in on a little secret. Either the first or middle name of each of my children makes an appearance in each book, but if I told you what they were, I’d have to put you into witness protection. You do you realise that is a cruel question for a book addict. I have a new favourite every other week, but something I could read over and over again is the Stephanie Plum series by Janet Evanovich. (Notice how I still didn’t pick one.) These stories have everything from over-the-top characters who remind you of someone you know, to stitch-inducing comedy. 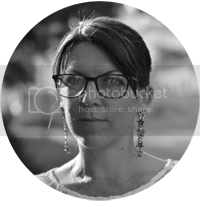 I have long respected the talented author, Fiona McIntosh, for her diversity and productivity. Story inspiration can be seized from the smallest idea, like something I’ve heard in the news or conversation. It triggers some kind of emotional response and the desire to know more. That’s when the what if questions start. What if a little girl’s abusive childhood taught her not to trust men, but a situation out of her control meant if she had to rely on one, or end up dead? ‘The Bodyguard’ with Kevin Costner and Whitney Houston is one of my all time favourites. I can’t go past the strong, silent type of hero. In fact, I have just such an idea for the next book I write. Oh goodie, I’ve already slipped two names into my other questions, and I love spreading the work about the fabulous writers out there. Russell Blake writes action adventures with a global appeal, and Helene Young writes Australian-flavoured romantic suspense with an insider’s eye on boarder control. Oh, you’ve put my two favourite things together. Writing and food! I would invite the esteemed James Patterson to dinner, because he is wise, prolific, and an active promoter of literature for boys. And Janet Evanovich would have to be my other guest, and not purely because she’s a shrewd business woman. Surely someone who can write such lively comedy would be a blast. I have tattoos. My first was when I was sweet sixteen (okay, it’s debatable whether I was ever sweet) and each one was custom designed with my input. A lot of people assume everyone will regret tattoos later in life, but I don’t and can’t see it happening. They’re as much a part of who I am as my wrinkles (what’s that, you can’t see any; why thank you) and freckles. No-one in their right mind (giggle). Perhaps Drew Barrymore or Anna Popplewell. I live in one of South Australia’s wine producing regions, so my house is surrounded by vineyards and at this time of the year the scent of fermenting grapes carries on the evening breeze. The obvious benefit is the choice of dozens of top quality cellar doors to visit. On 23rd March an anthology of romantic short stories called ‘Autumn Leaves’ will be released. This project involves a sample each from six talented authors, with the uniting themes of autumn and leaving something/someone. I am also working on another romantic suspense novel set in South Australia, which involves a collection of interesting characters. There’s a kindy teacher who lives off-the-grid because her army veteran father suffers Post Traumatic Stress Disorder; a self-made billionaire whose wife has run off with their son; and some nasty gang members who see the child as a pay day. Now don’t laugh, but I really do have a bucket list. I’m a great believer in taking every opportunity that presents, and that philosophy has lead me to experience all sorts of exciting and unique events. I’ve just crossed ‘become a published author’ off the list, but something I haven’t yet achieved is to visit the thermal springs of Pamukkale in Turkey, which are terraced down the side of a mountain, formed by calcium carbonate that solidifies into marble. Spectacular! Your heroine, Mya, rides a motorbike. Do you think other women will identify with that choice? There are a lot of women involved in motorcycling, whether they ride or go pillion, but I hope that all women can identify with Mya’s tenacious nature and free spirit. Riding a motorbike is more about freedom than speed, and I particularly enjoy the camaraderie amongst enthusiasts. I ride a Honda CBR 600. It’s a beautiful black and orange machine with a growling exhaust that makes the hair on your arms stand on end when it passes. Sandy Vaile is a motorbike-riding daredevil who isn’t content with a story unless there’s a courageous heroine and a dead body. Thanks for your support Elizabeth. I'd love to hear what your favourite parts are once you read it. I'll keep dropping in to answer those burning questions readers may have.